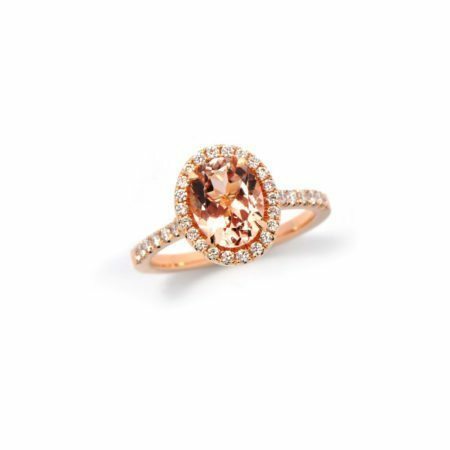 The wonderful, warm world of a morganite gemstone is a great place to be! 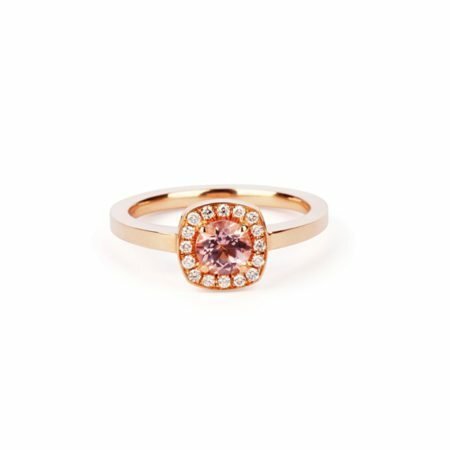 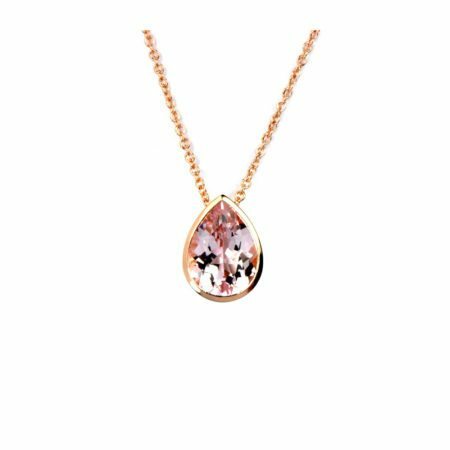 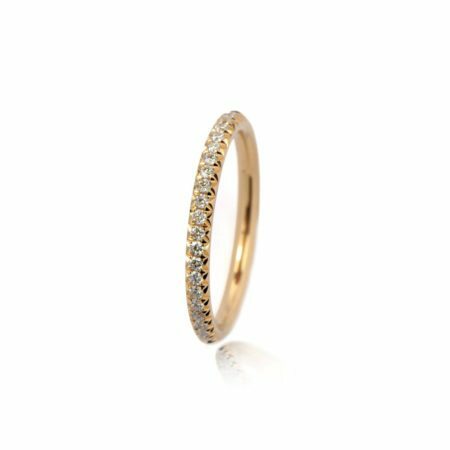 Setting this softly coloured gemstone in the pinky hues of 18ct rose gold enhances the glorious, gentle tones and colours. Surrounded by a halo of castel set round brilliant cut diamonds, and available with and without diamonds in the shoulders, this is peachy perfection!